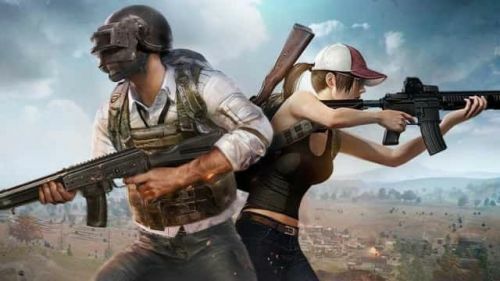 PlayerUnknown's BattleGround Mobile is all over the Indian media as the game has caused many accidents in the past few months. Yesterday two people from Hingoli, Maharastra were run over by a train while playing PUBG Mobile. While almost 10 students were jailed for playing PUBG Mobile. Cases like this are all over the internet and in response to all this, the National Commission for Protection of Child Rights has asked an action report from the Ministry of Electronics and Information Technology, India. PlayerUnknown's BattleGround Mobile Ban in India is possible now more than ever due to the accidents. Though we all know that PUBG is not responsible for the mishappenings taking place all around India. About a month ago people wanted to ban PUBG because their children's education was being hampered. So, let me ask a little question. Before PUBG mobile was out there, the youth spent their time playing outdoor games like cricket or football, which resulted in bad scores. Activists such as Vijay Gopal who runs a Hyderabad-based forum, are talking about the ban of PUBG, its addiction, negative effects and all that. But on the same hand, people are addicted to apps like Musical.ly (Tik Tok). Tik Tok is just a reference, there are countless things which affect an individual. There are people in Mumbai who hang on the local trains and die due to an accident. There are several other cases like these. It's just that you can't blame a game for it. In the end, everything depends upon the person and his surroundings. PUBG Mobile has supported the youth of India by promoting Esports in India, by providing job opportunities and many more. Young Indians like Mortal and Carryminati are playing the same game and bringing honour to the country while activists think that the game is harmful. Being biased cannot solve the issue, I hope the solution to these accidents is not the ban of PUBG mobile.